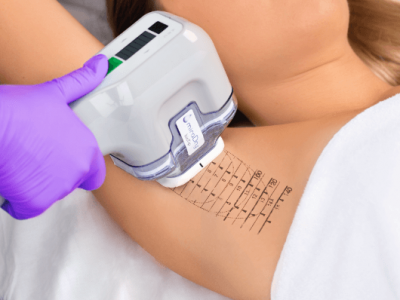 miraDry is the only FDA-approved procedure that permanently eliminates underarm sweat and odor glands, providing immediate and permanent results with minimal to no downtime. FDA Approved. miraDry is the only FDA-approved procedure that has been proven to provide both a safe and permanent solution to underarm sweat. Non-Invasive. 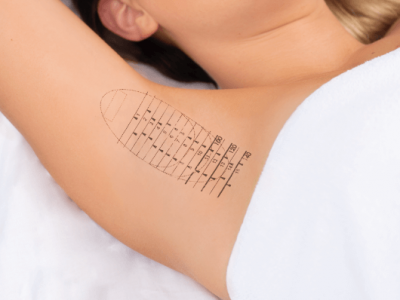 The miraDry procedure uses electromagnetic technology to eliminate sweat glands in the underarm. No bleeding, no surgery, and no incisions. Little to No Recovery Time. No need to miss work or school – most patients are back in full-function within 24-48 hours of their miraDry procedure. Immediate, Permanent Results. Most patients experience a drastic decrease in (if not complete elimination of) underarm sweat within hours of the procedure. See if miraDry is the right fit. Local anesthesia is administered to ensure maximum comfort during the treatment. The area is treated, eliminating sweat and odor glands in the underarm. Of course! But not from your underarms. You’re born with approximately 2-4 million sweat glands throughout your body. Your underarms only contain about 2% of those glands. After your miraDry treatment you will experience the many benefits of dry underarms, and you will continue to perspire normally elsewhere.